Samsung unveiled the new Galaxy M series in India last week to take on the burgeoning Chinese OEMs in the budget segment. The company launched the Galaxy M10 and M20 under the new lineup and is expected to add more models in the coming months. The two devices, which went on sale today on Amazon India exclusively, seems to have been received well by the customers so far. Now that the Indian launch is done with, Samsung is gearing up to bring the new series to other markets as hinted by the company previously. Indonesia seems to be next in line to get the Galaxy M devices if we go by the information put out by a couple of online retailers in the country. 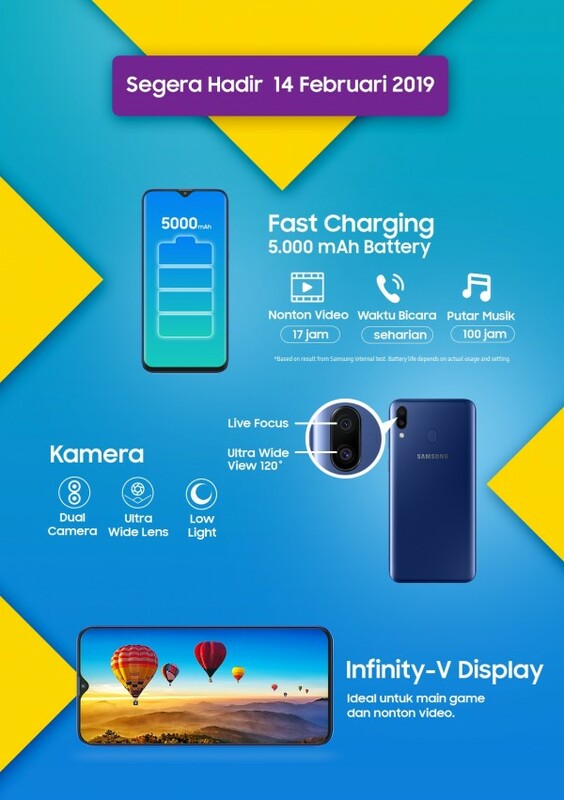 JD Indonesia and Lazada Indonesia have created marketing pages for the Galaxy M20, mentioning the launch date as February 14. All the marketing material here is focused on the Galaxy M20, casting doubts about the availability of the M10 in the country. Along with Indonesia, the Galaxy M series will also be available in UAE and Russia in the coming weeks or months. Though we don’t have a date or an official confirmation on this, we have seen M20 firmware for these regions, indicating its imminent launch in these markets. You can expect the Galaxy M models to launch in additional markets in the near future. The Galaxy M series is Samsung’s latest attempt to reclaim its eroded appeal in the budget segment. As we noted in our Galaxy M20 review, the new series looks modern on the outside while being a capable performer on the inside. More importantly, Samsung has got the pricing the right this time, making them compelling options in the budget segment. These will be a game changer! Let’s see how many sales Samsung can gain back from Xiaomi, Oppo and Vivo.